Choice barrels from our Waitsburg Bourbon whiskey are occasionally selected for bottling. As with vintage wine bottlings, there's no exact schedule for these releases. At barrel strength our bourbon presents an explosive nose of concentrated spice and toasted sugars. The finish is long, with heightned aromas of toffee, bright cherry, fresh tobacco leaf, vanilla bean and smoke. The spicy kick of the high rye content is balanced by sweet, smooth corn and the unmistakably silky viscosity of organic Washington soft white winter wheat. 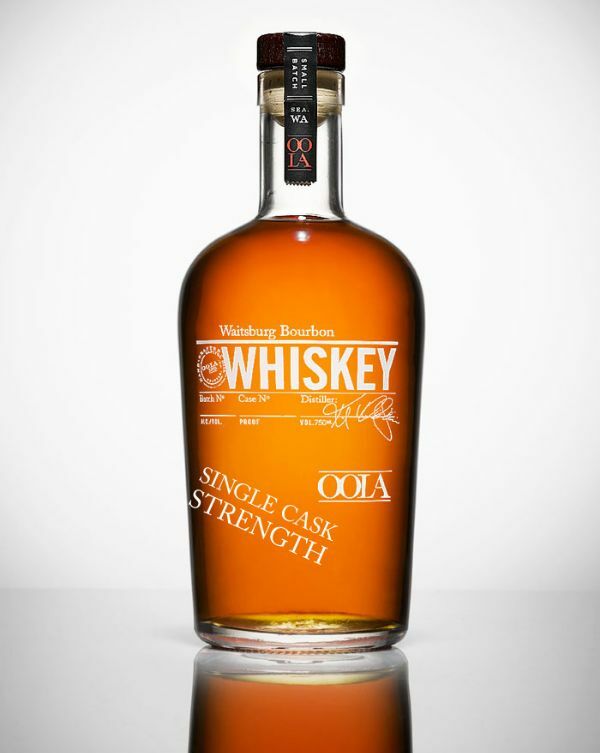 Aged initially in ten-gallon American oak casks and then matured in 53-gallon barrels, this meticulously handcrafted Bourbon has mellow tannins even at a higher proof. Never chill-filtered, our cask strength releases present Bourbon enthusiasts the opportunity to fine-tune their enjoyment. Try this spirit over one large ice cube and notice how its character changes as volatile flavor oils are diluted with water.